98” and 85” ZG9 8K HDR Full Array LED TV and a 77”, 65” and 55” AG9 4K HDR OLED TV will join the flagship MASTER Series. 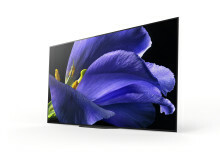 Sony Europe today announced the new MASTER Series ZG9 8K HDR Full Array LED and AG9 4K HDR OLED televisions. 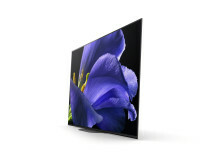 Sony’s MASTER Series TVs represent the pinnacle of picture quality available to home viewers, capable of displaying images that faithfully convey the creators’ intent. 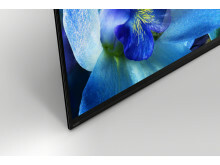 The MASTER Series is the name given to only the very best Sony TVs and provides premium picture quality, colour, contrast, and clarity approaching that of a professional-grade monitor. The MASTER Series TVs also feature Netflix Calibrated Mode and IMAX Enhanced to further ensure that content is delivered as intended. Both new models feature the latest generation Picture Processor X1™ Ultimate for accurate detail and contrast. Introduced last autumn with the inaugural AF9 and ZF9 MASTER Series models, this processor plays a vital role in delivering the high-quality picture in the MASTER Series. The Picture Processor X1 Ultimate has a unique algorithm specially developed for 8K that can intelligently detect and analyse each object in the picture resulting in exceptional detail and contrast for a more realistic picture that more accurately represents the creators’ intent. 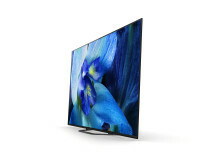 Premium quality sound is a key part of the viewing experience as well, and both the ZG9 and AG9 models feature the new Sound-from-Picture Reality which faithfully reproduces the position of the sound on the screen so when actors are speaking, the sound appears to be coming directly from their mouths and not from a speaker off to the bottom of the TV. The ZG9 also features X-Wide Angle to ensure the picture retains its quality and true colours regardless of the viewing angle by reducing colour shifts when viewing the screen off-axis. Also, X-Motion Clarity minimises motion blur without sacrificing screen brightness. Acoustic Surface Audio+ provides a totally immersive sound experience with the sound coming from the entire screen, enveloping viewers in exciting new entertainment experiences, providing pictures and sound in perfect harmony. In addition, a TV Centre Speaker Mode provides choice to use the TV as the centre speaker in a home cinema setup. 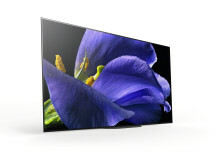 IMAX Enhanced certified product content including a great selection of Sony Pictures Entertainment worldwide box office hits such as VENOM, Spider-Man™: Homecoming and Jumanji: Welcome to the Jungle will be available in Europe on select BRAVIA TVs via the RakutenTV streaming service later this year. More details as well as eligible countries and timings will be announced at a later date. At launch, the IMAX Enhanced Program will be available in 5 countries in Europe including UK, Spain, Germany, France and Italy, with more countries to follow in the future. 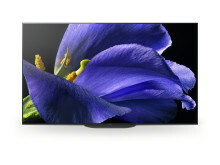 In addition, Sony Europe announced the AG8 4K HDR OLED, XG95/XG90 4K HDR Full Array LED, XG85 4K HDR LED, and WG6 Full HD HDR LED TVs, also to become available in 2019. Sony’s 8K bringing the creator’s intent to life with truly authentic experience by combining the brilliance of 8K HDR with Sony’s unique MASTER Series philosophy. Features Picture Processor X1™ Ultimate and 8K X-Reality PRO; pictures are sharpened and refined in real time, and images are upscaled closer to true 8K quality using Sony’s exclusive 8K database. Features Backlight Master Drive, full-array LED backlight technology that combine ultra-dense, independently controlled LED modules tuned for 8K, to deliver incredibly deep black, dazzling lights, and more vibrant colour. To be updated to HDMI 2.1 that supports 8K resolution and 4K High Frame Rate in a single cable. 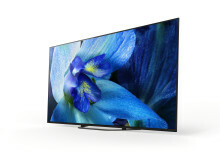 Features 8K X-tended Dynamic Range™ PRO that ensures 20 times the contrast of conventional LED TVs. Features Acoustic Multi-Audio by four front-facing speakers; with Sony’s Sound-from-Picture Reality experience, action and sound are precisely aligned and viewing becomes so much more immersive. Features a TV Centre Speaker Mode; use the TV as the centre speaker in a home cinema setup. Features X-Wide Angle that minimises the colour change when viewed from the side; view faithful shades and hues from wherever you watch the TV. X-Motion Clarity keeps fast action clear and smooth; moving images are precisely controlled to minimise blur and even during fast-moving scenes, pictures stay true with no loss in brightness. Dolby Vision™ brings scenes vividly to life for authentic viewing, while Dolby Atmos™ fills the room with immersive surround sound. Hands-free voice search: find your favourite entertainment by simply talking to the TV. Voice Search: find your favourite entertainment by simply talking to the remote. Easy to control smart remote; connect set-top boxes and other devices via HDMI to the TV and control them all using one smart remote (depends on region); a slimmer, more rounded design with a built-in voice control microphone and an enhanced button layout for ease of use. New processor for stress-free usability; quicker response of launching apps, powering on the TV, and more. 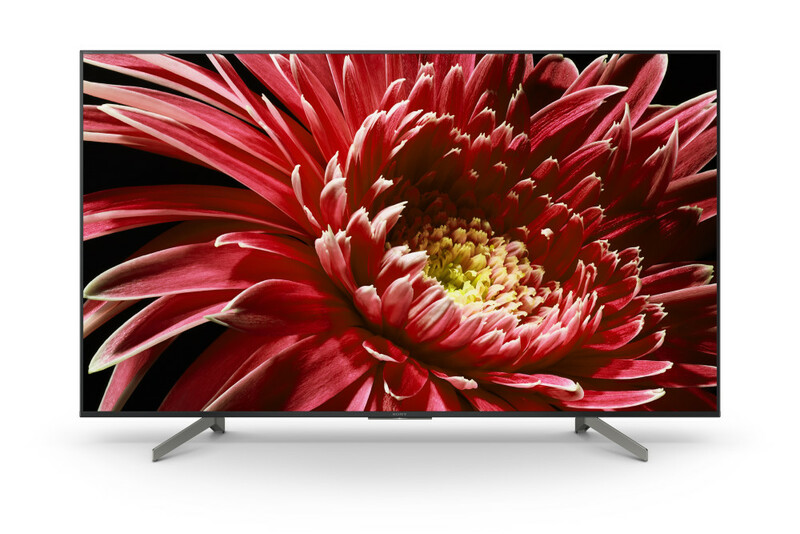 Features Picture Processor X1™ Ultimate, providing the ultimate 4K HDR viewing experience with the following technologies: Object-based Super Resolution, Object-based HDR remaster, Super Bit Mapping™ 4K HDR and Dual database processing. 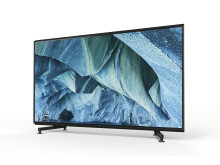 Features Pixel Contrast Booster, over eight million self-illuminating pixels and Sony-original panel controller for OLED that brings a significantly enriched visual experience with unprecedented black, authentic colour and a wide viewing angle. Features Acoustic Surface Audio+; two actuators and two powerful subwoofers deliver multi-dimensional sound that immerses you in a whole new entertainment experience. TV Centre Speaker Mode provides choice to use the TV as the centre speaker in a home cinema setup. 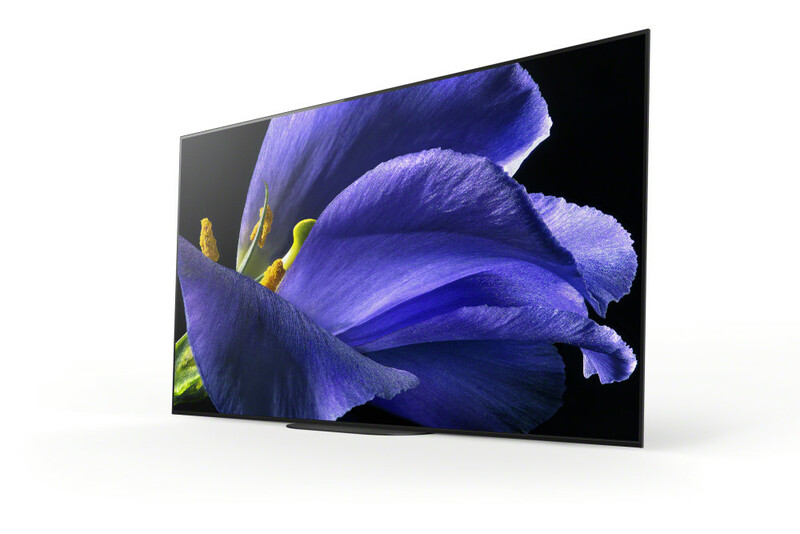 Beautifully detailed images combine with Sony’s Sound-from-Picture Reality for a captivating audio-visual performance. 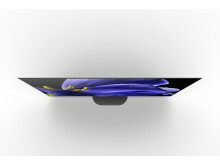 Slim wall mount design; it fits as close as a picture and blends effortlessly with the room. Easy to control smart remote; connect set top boxes and other devices via HDMI to the TV and control them all using one smart remote (depends on region); a slimmer, more rounded design with a built-in voice control microphone and enhanced button layout for ease of use. 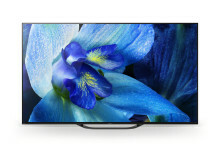 Features OLED as display device; over 8 million self-illuminating OLED pixels brings a significantly enriched visual experience with unprecedented black, rich colour, and a wide viewing angle. Features 4K HDR Processor X1 Extreme providing the ultimate 4K HDR viewing experience by incorporating three technologies: Object-based HDR remaster, Super Bit Mapping™ 4K HDR and Dual database processing. Features Acoustic Surface Audio; the entire screen resonates with great sound emanating directly from the screen itself. 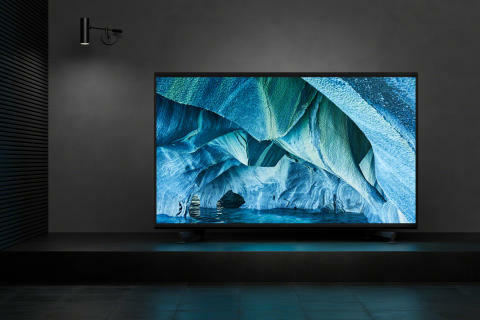 This allows Sound-from-Picture Reality, a perfect unification of picture and sound that conventional TVs cannot deliver. 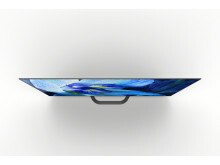 Ideal for a soundbar; rotate the stand 180° and it will rise up so you can easily place the soundbar by the TV. Dolby Vision™ brings scenes vividly to life for authentic viewing. Features Picture Processor X1™ Ultimate providing the ultimate 4K HDR viewing experience with the following technologies: Object-based Super Resolution, Object-based HDR remaster, Super Bit Mapping™ 4K HDR and Dual database processing. Features full-array local dimming backlight with X-tended Dynamic Range™ PRO that ensures 6 times the contrast of conventional LED TVs. 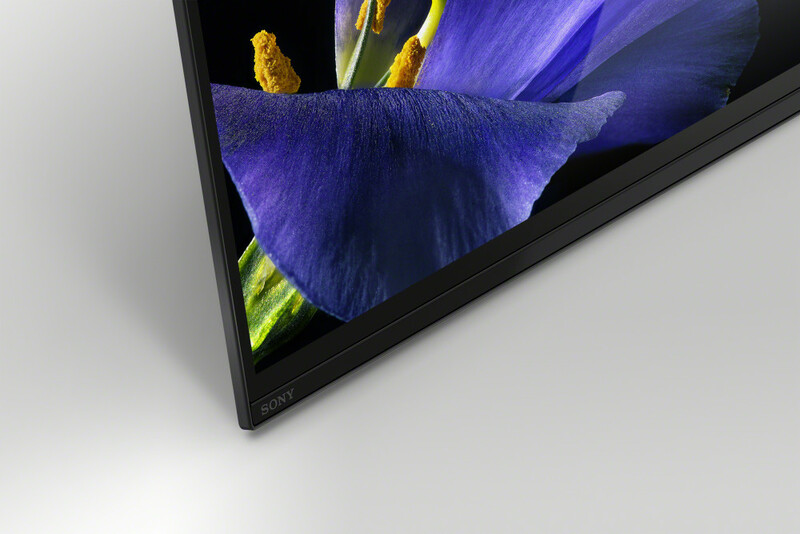 Features Acoustic Multi-Audio with Sound Positioning Tweeters; delivering Sony’s Sound-from-Picture Reality experience, action and sound are precisely aligned and your viewing becomes so much more immersive. 4K HDR Processor X1™ reproduces more depth, textures and natural colours with Object-based HDR remaster technology. X-Reality™ PRO picture processing upscales every pixel for exceptional picture clarity. As frames are analysed, each scene is matched with Sony’s special image database to refine images and reduce noise – for a picture with incredible realism. 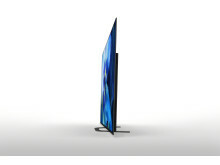 ClearAudio+ fine tunes TV sound for an immersive surround-like experience. Renewed user interface for quicker network setup and easier search for content and apps. YouTube™ button on the remote control enables access to YouTube™ faster than ever on this Internet-ready TV. Pricing and retail availability will be announced at a later date. Google, Android TV, Google Play and YouTube are trademarks of Google LLC.